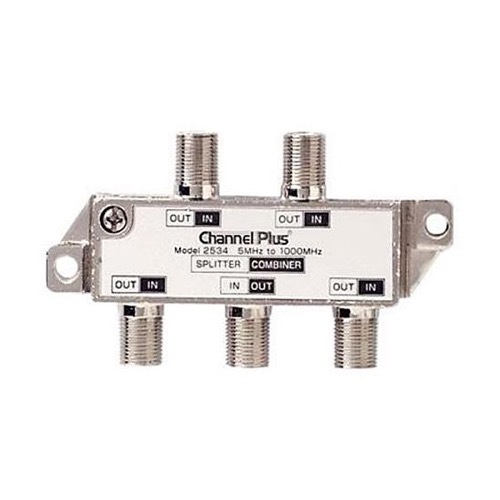 The 2534 4-way Splitter/Combiner is a bi-directional 4-way splitter/combiner that provides a 1 GHz bandwidth and is ideal for antenna and coaxial cable operations. The splitter/combiner can be used for two applications. It can be used to split a signal from a source or combine signals from multiple sources onto one coax run. Please Note: The 2534 DOES NOT pass DC IR signals.